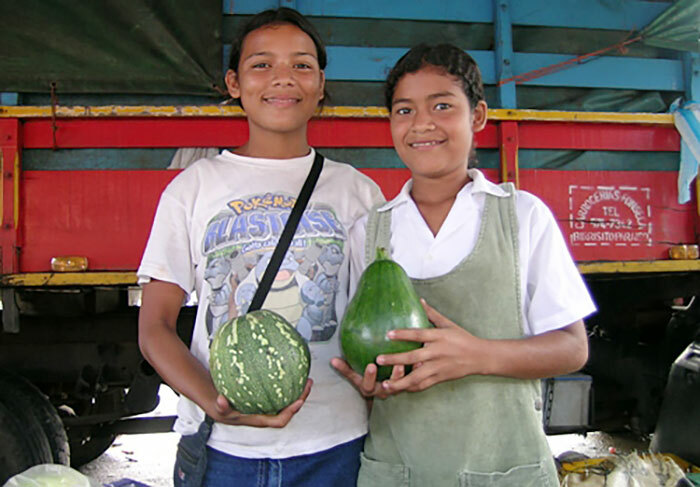 Ayote is the term used in some Central American countries for hard squash, Cucurbita moschata, that in other countries is called calabaza and auyama. Ayote tierno (tierno meaning tender or young in Spanish) is harvested before reaching maturity. When mature, it is called ayote sazón (sazón meaning ripe). Ayote that is mature, but is small in size, is also sold as ayote tierno. Ayote tierno is cooked and served as a side dish or is used in making picadillo. For information on production and management of ayote tierno, refer to the New England Vegetable Management Guide and click on "pumpkin and squash". Seed for calabaza is available from Rupp Seeds. The variety is called "La Estrella".